Would you mind getting your student (money, loan?) to reach a little further? 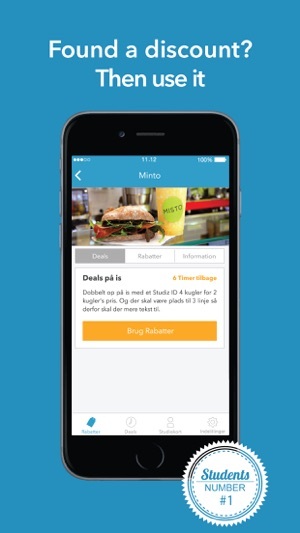 Studiz is Denmarks biggest portal for both online and local student discounts. 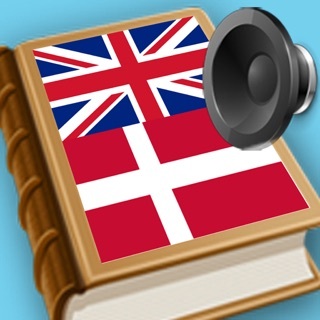 You will find all the countries updated, available, unique and also special time limited study deals. 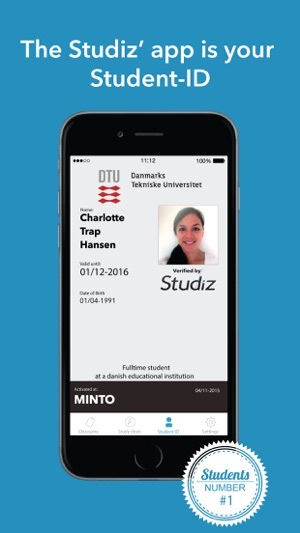 The App will also give you access to you digital student card. Now you don't have to carry your plastic card around, and you can use your iPhone to find and get student discounts. Studiz is created by students, made for students with the purpose to make the student life more fun! 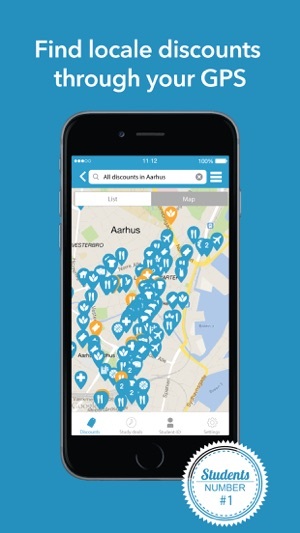 The app use your GPS position to remind you of your student discounts. This dramatically decrease battery life. 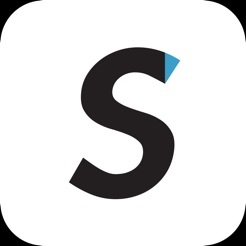 Studiz is made “by students - for students” with the purpose of ensuring cheaper, simpler and more fun student life..
We update the app on a regular basis and uses all the feedback we from our follow in this process. App. 80% of all new features and improvements comes from suggestions and ideas, which we are very grateful and proud to announce. In this version we have added some info to the student-ID, added possibility to upload a new photo (interval between uploads are decided by the institution), and crop pictures on upload. First of all if this doesn't have the university of Texas at Austin then it definitely won't have Texas tech university. I looked through the schools and they don't seem to be schools in the United States... So not helpful at all! This app doesn't recognize my zip code or my college and I go to a big well known one. I can't even use this app because they can't verify I'm a student. So frustrated.